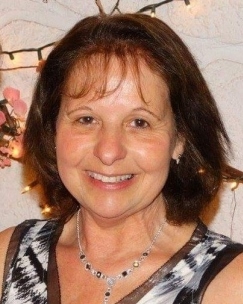 Lucille L. (Pelletier) Michaud, 68 of New London Turnpike Richmond, RI, died unexpectedly on Monday April 8, 2019 at Kent County Hospital. She was the beloved wife o Armand H. Michaud Jr.
Born in West Warwick, RI on January 7, 1951 she was the daughter of the late Leo Pelletier and Blandine (Lemay) Pelletier. Lucy was a Rural Letter Carrier for the U.S. Postal service working in the Hope Valley area for almost 30 years before retiring. She was a communicant of St. Joseph Church in Hope Valley and a member of the St. Vincent de Paul Society. Besides her loving and devoted husband she will be sadly missed by her four children; Donald J. Brennan Jr., Michael C. Brennan, Jaime L. Carroll (Scott) and Kristen M. Pascucci (Nicholas). She also leaves her twin brother Leo Pelletier (Susan), Roger Pelletier (Pamela) and Robert Pelletier (Deborah). She was the loving grandmother of Rebecca, Jessica, Donald, Leah, Cynder, Alyssa, Trinity and Alexander and great grandmother of Cayleigh and Jasper. She was pre deceased by her two sisters; Theresa Plante and Pauline Norman. A Mass of Christian Burial will be held on Friday April 12, 2019 at 10:00 AM at St. Joseph Church, 1105 Main St. Hope Valley, RI. Calling hours Thursday from 4-7 PM at the S.R. Avery Funeral Home, Main St. Hope Valley, RI. Burial will be in St. Joseph Cemetery West Greenwich, RI.